Can you spot my toes at the bottom of the picture?! Haha! Oops! I decided instead of moping around wondering what the heck comes next that I would just work on what I knew needed to get done! 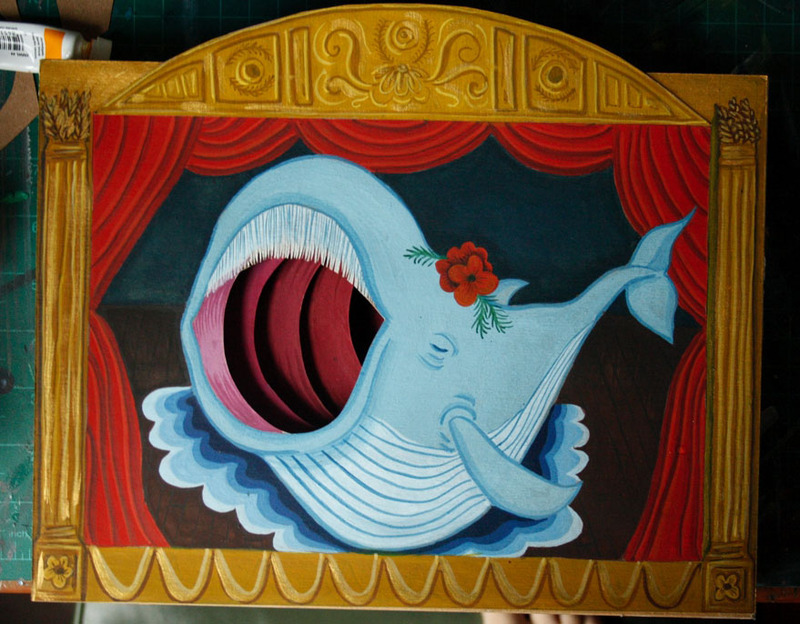 I also took the time to finish up my whale peice by adding on to the stage. The top now has a nice decorative part! I added some gold paint too! It made a big difference! Annd…I’ve been sketching out ideas , but none of them seem to really stick! I think I have a lot more sketchin’ to do! Barn owls are pretty neat though! 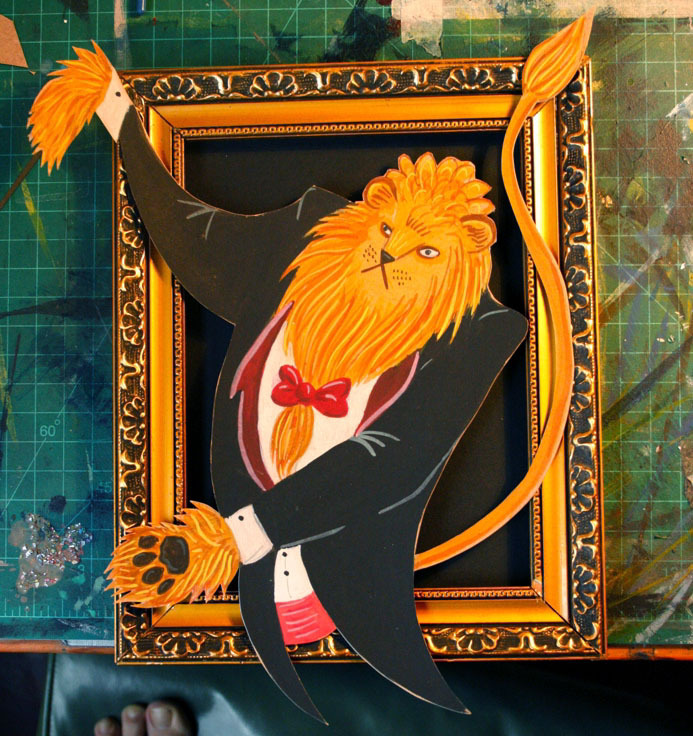 I love their flat faces….I just don’t like the way they do the can-can in my drawings. Hah! That’s it for today! Love these!!! Love how they are too big for their frames – nothing can keep these guys back! 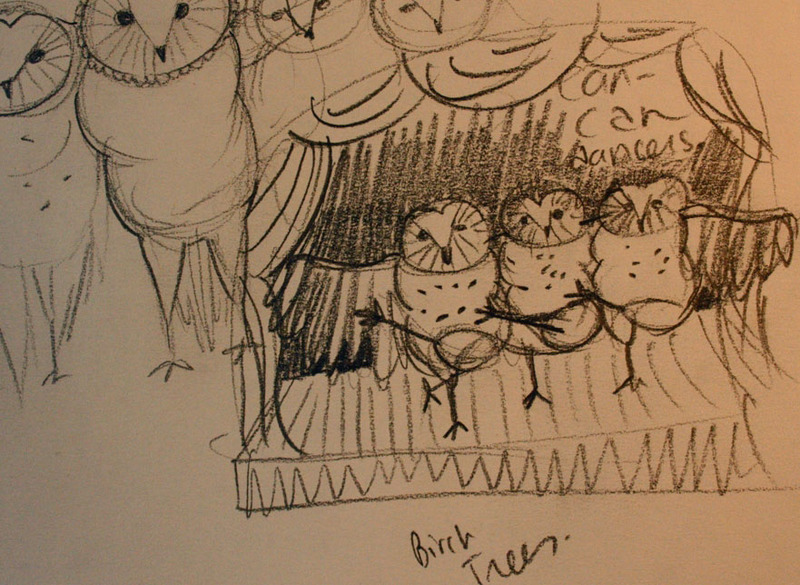 😉 Also love the owls doing the can-can – hilarious idea and image! For winter blues, I’ve found coconut scented shampoo to be a lovely reminder of summer!! 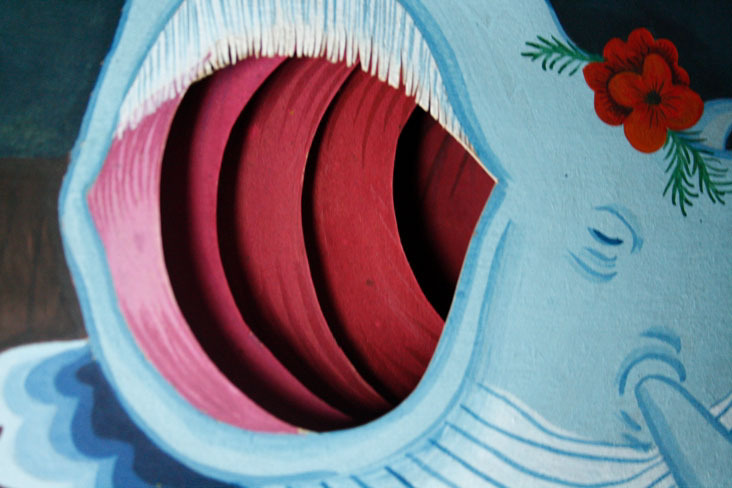 I love seeing your art, and seeing how the whale came about was fascinating. (keep in mind, I’m a science teacher, so this is not at all in my realm!) I can’t wait to see what you do with the owls. 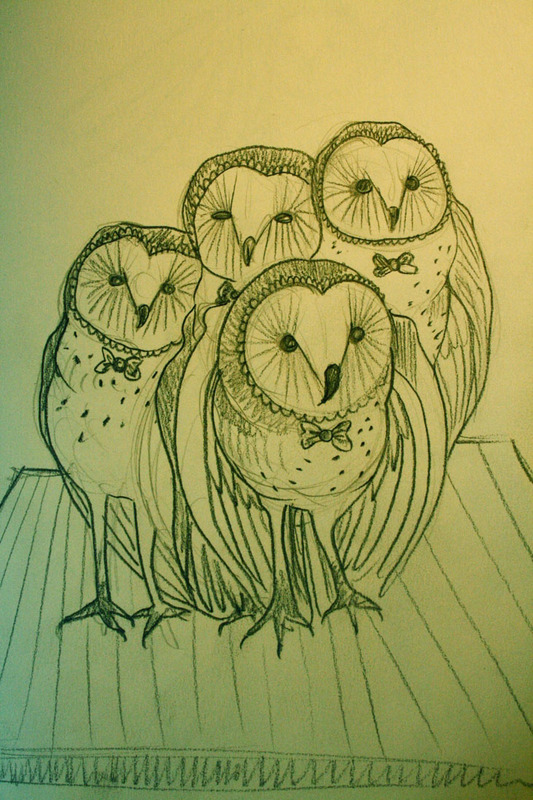 I love owls. I’m coming to Hali this weekend. Cathy is taking me to Neptune Sat night. Maybe we’ll run into you and Shawn. I think dancing owls are exactly what I needed this morning, wonderful!! 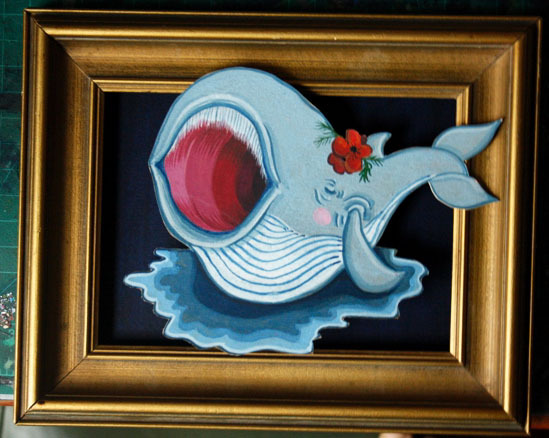 Is the whale coming out of the painting? How did you do that? I just love, love, LOVE your style!! Your colors are so vibrant, and visually stunning!! I just love seeing your beautiful work!! Bravo!!! Aw shucks! Thanks Christina! 🙂 Encouraging words!